Ashbel Woodward was a physician, historian, and farmer who spent most of his life serving the town of Franklin. For more than 50 years Dr. Woodward provided care for those in need while also constructing a comprehensive history of Franklin. 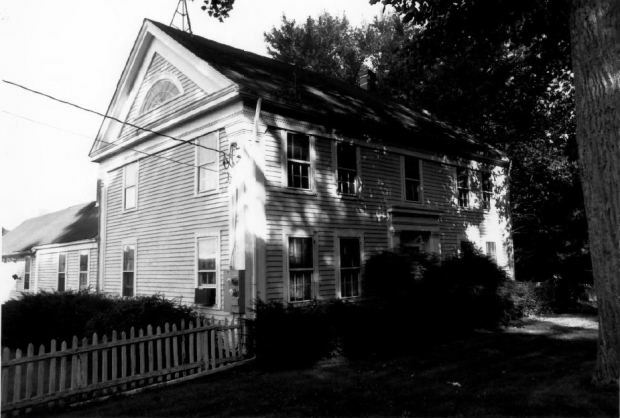 After his death, Woodward’s service carried on through the use of his home as a museum and repository for the town’s historical collections. Born in Willington, Connecticut, Ashbel Woodward studied medicine at Bowdoin College in Maine before returning to Connecticut and settling in the town of Franklin. There, in 1834, he purchased property from the estate of Dr. Reuben Burgess, where Woodward lived for the remainder of his life. For the better part of the next 50 years Woodward served as the only physician in town. He became a member of the American Medical Association in 1849 and was one of the early members of the Connecticut Medical Society—eventually serving as its president from 1858 until 1861. Though in his 60s at the outbreak of the Civil War, Woodward perhaps lent his greatest service to his country when he served as a battlefield surgeon and medical facilities inspector for the Union army. In addition to his medical pursuits, Woodward displayed a passion for history, particularly local history. He collected literature and numerous artifacts pertaining to Franklin’s past and eventually wrote a book detailing the town’s history. In what remained of his free time, Woodward farmed (mostly corn, peas, potatoes, and hay) and served as a Deacon of the Congregational Church. In 1880, on the 50th anniversary of Woodward’s move to Franklin, between 200 and 300 grateful citizens arrived at his house in a show of thanks. Woodward passed away in Franklin just 5 years later. Roughly 60 years after his passing, in 1947, Ashbel Woodward’s descendants donated his home and property to the state of Connecticut. The home, built around 1835 in the Greek Revival style, eventually became the Ashbel Woodward Museum and received a listing on the National Register of Historic Places in 1992. Woodward, Ashbel. A Historical Address: Delivered in Franklin, Connecticut, October 14th, 1868, on the Two Hundredth Anniversary of the Settlement of the Town, and the One Hundred and Fiftieth Anniversary of Its Ecclesiastical Organizations. New Haven, CT: Tuttle, Morehouse & Taylor, Printers, 1870. Link. Woodward, Ashbel, and Connecticut Medical Society. Medical Ethics: The Annual Address Delivered Before the Convention of the Connecticut Medical Society, at Hartford, May 23d, 1860. Hartford, CT: Press of Case, Lockwood and Co., 1860. Link.